Welsh star Joe Allen has said that the national team can cope without star forward Gareth Bale as they play a crucial World Cup qualifier against Serbia on Sunday. 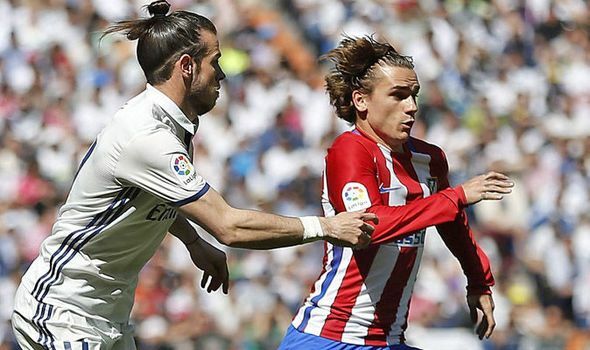 The Real Madrid star would miss the game as he is on suspension. Serbia demolished Wales 6-1 in 2012 with Allen describing that night as his “worst night in a Welsh shirt.” He adds that he believes the memories of that day would help the team mentally as they face the Serbs. 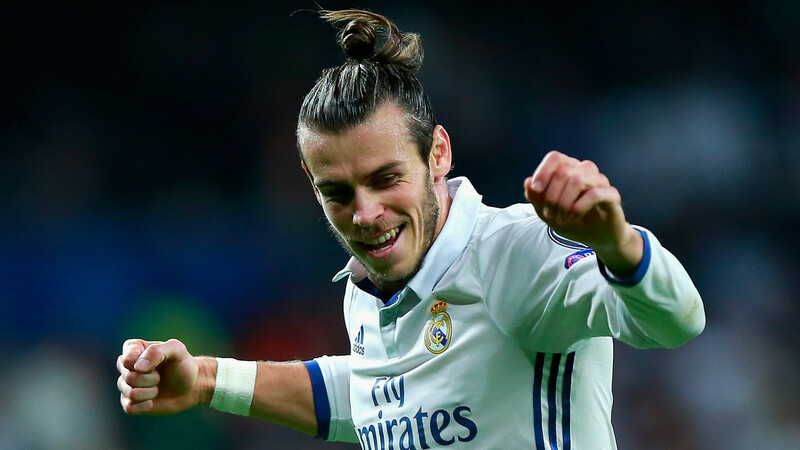 Gareth Bale has reportedly reached out to Manchester United manager Jose Mourinhoover the English club’s long time interest in him. The Welsh star moved to Spanish giant Real Madrid in a £86million record transfer deal from Tottenham Hotspur in 2013. 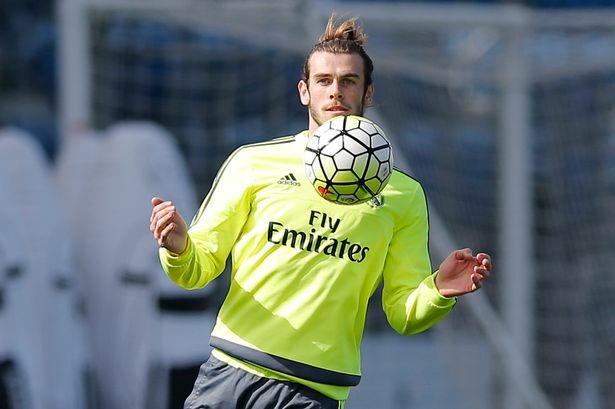 Bale was signed by the club chief Florentino Perez. However Spanish source DiarioGol claims that he is now ready to plan his exit from the side as he has continually lived in the shadows of Portuguese star Cristiano Ronaldo at the Santiago Bernabeu. Manchester United have always wanted the player at the club. They were hugely interested when Bale was ready to exit Spurs but he opted to leave England altogether. Mourinho is hunting for a game changer as United struggle to reach expected heights this term. Another source Don Balon claims that Mourinho wants Bale on his shortlist and he would be delighted to sign another top star. The football community is delighted that former most expensive player Gareth Bale is set to return to training this week. It has been tough for the community after Ryan Mason was operated on after he fractured his skull whilst in action for Hull City against Chelsea this past week. The Real Madrid player who is just coming out of his own suffering took to his Twitter handle to support Mason. “Get well soon Mase!! Thoughts are with you and your family, stay strong!!! @RyanMason,” he tweeted. The Welsh player is not expected to return to competitive football anytime soon but he would train with his teammates this week, reports say. Wales football superstar Gareth Bale supports the Royal British Legion’s sport Remembers campaign in a bid to commemorate sportsmen who serve the country. The Real Madrid forward joined Wales national team boss Chris Coleman and Wales senior team captain Ashley Williams on the 100th anniversary of the Battle of the Somme. 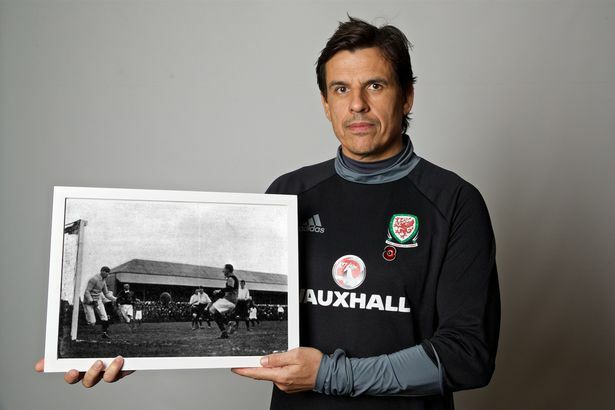 The trio were pictured holding a picture of Leigh Roose – a former Wales shot stopper. Roose was instrumental in the change of football laws before he lost his life whilst in active service in World War One. Roose had a lot of influence and he joined the 9th Royal Fusiliers in the summer of 1916 aged 38. He was serving at the Battle of Somme where he died on October 7, 1916. Aston Villa recently appointed Steve Bruce as manager after sacking former coach Roberto Di Matteo. One of the first moves Bruce made was to allow the club’s former captain Gabriel Agbonlahor train with the first team after a long time out. Bruce made his first appearance as the new Aston Villa boss on Thursday where he revealed his plan for the club. The 55-year old coach described the task of helping Aston Villa return to the Premier League, as soon as possible, as the most daunting challenge of his career. He added that he knows he is capable, having helped teams get promotions four times from the second tier. He said his passion for the side will propel him to achieve his vision. “One of the hardest parts of management is trying to bring a club back after it’s been relegated because there is a lot of doom and gloom around, especially among supporters,” Bruce said. The former Hull City boss appointed his former help Steven Clemence as the first team coach. Clemence worked in the same capacity at Hull. Real Madrid forward player Gareth Bale has yet to sign a contract extension with the Spanish side. It is believed that the player has no intention of leaving Real Madrid but want to make the most of the transfer ban that the club is currently facing. 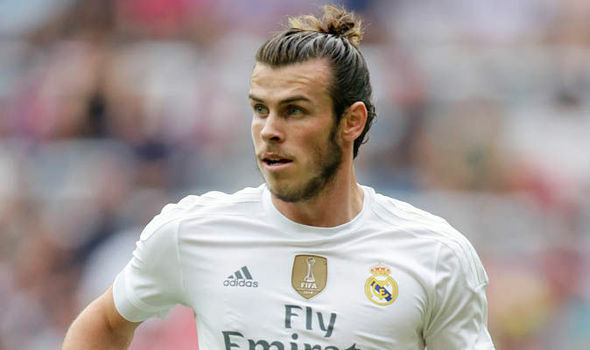 Indeed Real Madrid has been barred by the UEFA from signing new players, and Gareth Bale will want to use this situation to his advantage in order to get the best possible deal. Gareth Bale has recently stated that he has no intention to leave the club as he believes that Real Madrid is the best club in the world. He said that he is happy playing for them and that he wants to end his career there. There have been recent speculations that Manchester United might be preparing a bid for the player as Jose Mourinho is looking to make another marquee signing. It is believed that Mourinho is not satisfied with some of his summer signings and that he is looking for players that can help bring Manchester United to the next level. 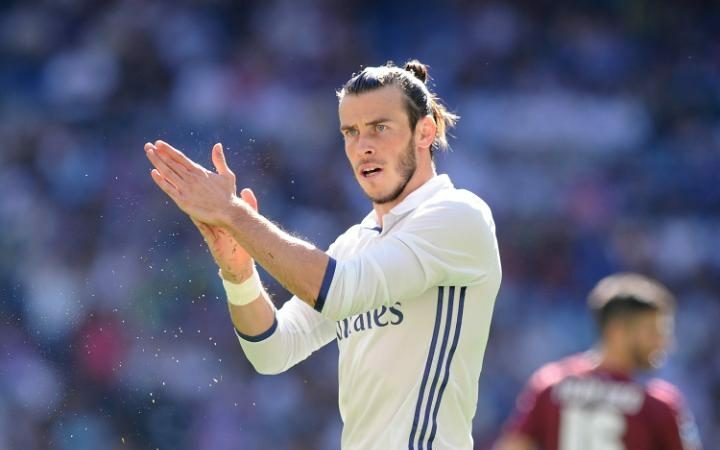 Welshman Gareth Bale is set to inspire Real Madrid to their first La Liga win in eight years in the absence of teammate Cristiano Ronaldo who is out injured. Bale only lost his title of ‘most expensive player’ in the world this summer when Manchester United splashed the cash to resign the 23-year old Frenchman. The Wales international has been proving himself worthy of the tag of the successor of three-time Ballon d’Or winner Cristiano Ronaldo. The 27-year old led Wales to European glory when they broke their record of over 58 years at the Euro 2016 in France when they reached the semi finals. Sportsmail reported that the Santiago Bernabeu management is set to offer the player a ‘contract for life,’ in lieu of the plans they had for him. It shows the management wants him to be the next big thing after the 31-year old Ronaldo retires. Welsh superstar player Gareth Bale is all worried that the injury Real Madrid team mate Cristiano Ronaldo sustained at the final of the Euro 2016 tournament might affect his performance as they start preparations for the next season. Portugal, captained by Ronaldo, defeated Wales at the semi final of the tournament hosted in France before lifting the trophy ahead of the host in the final. However, as the tournament has ended, players would have to return to their clubs to resume training ahead of the new season. Bale took to his social media handle to pray the Portuguese star is not too affected by the tackle from West Ham star Dimitri Payet. “Terrible to see Cris come off like that. Hope it’s nothing too bad,” Bale posted on Twitter. Real Madrid won the UEFA Champions League in the last campaign, making it the second in three years but they have failed to win the Spanish La Liga for years now. The last time they lifted the local league was when they won it under former manager Jose Mourinho, who is now with Manchester United. Current manager Zinedine Zidane was able to transform the fortunes of the club when he took over in the last season but will likely make the La Liga a priority this year. Their chief rival Barcelona have won the title numerous times in recent years are going to be the main contender in the coming season, so Real Madrid would not be able to afford its most consistent goal scorer for six years to be injured as they kick off the campaign next month.